In this article, I will talk about decorating a cubicle in manly ways. I have seen good, bad and ugly workspaces occupied by ladies, but they look so different from a man’s cubicle. And honestly, I have very little idea of improving a woman’s cube. So, this article mainly aims at men. For women, there’s no better place than Pinterest to get ideas. Sorry, I don’t have the desire to decorate my cubicle by season or the occasion; that’s just not me. I don’t put up little pumpkins in October and eggs at Easter like women do. But, I do like desks with small replica footballs and golf balls. I do like sports pictures on a cubicle. Or, for that matter, the cutest cat picture looks good there too. As long as these things are not too powerful to the eyes and mix well with other objects. Previously I posted some of the basic tips on becoming a better employee by writing better emails. Writing good emails and living in a well-organized office space are a few subtle things that don’t get a promotion or raise directly, but raises you up in the eyes of people who matter at work. Your cubicle says a lot about you, especially if someone visits for the first time and you are not there. Decorate your office cubicle with great care. Our Vice President works from a different city. On one of his visits to our office, he decided to pay us a visit. One of my coworkers was on leave. The VP left a ‘post-it‘ note at his desk asking him cleaned the desk and made it livable. You can understand how embarrassing that was. I didn’t get a post-it note but, my cubicle was no better. It did sound an alarm bell! You spend all day in a cube, at least, 8 hours each work day. Why don’t you make it clean, clutter-free, and soothing? A clean surrounding promotes clean thinking. A clean thinking generates ideas. Ideas take us to new highs. Keeping a well decorated and maintained cubicle is thus, an integral part of your daily work life. Know the rules and regulations at your job. Any offensive quotations, memorabilia, or images could lead to loss of your job. Printouts are the biggest cause of clutter on your desk. Discard all papers when they outlive their purpose. Don’t overhaul everything in a day. Don’t lose your productivity by putting your day’s energy into organizing. I decorated my cube during a weekend trip to the office. My boss greatly appreciated that. You can decorate for free. Look for garage sales to accumulate small office equipment that still works. Your home decorations and office decorations are not the same things. A lot of pictures, toys, and mementos look better at home than in the office. Do not place items in such a way that your visitors can’t see you while speaking to you. Too much decoration is bad – do not overwhelm the place. Too much decoration distract your coworkers as well, the same way, too much noise does. A family picture on your desk talks about your nature. Show off your loving side. People will love ’em too. Always tuck medicines and personal hygiene items in a drawer after your use. Clean the place, dust off weekly, at least. Especially, your computer screens and monitors. The above rules apply to any cubicle organization, man or woman. However, there are certain things that make a cubicle a real man’s cubicle that can raise the eyebrows of men and women alike, your boss or your janitor alike. Barring exceptions, black and shades of blue are man colors. A man cubicle should have these as base colors without much red or yellow. A couple of colorful files or books definitely look great on an otherwise black and blue background. A man cubicle should have the presence of leather. The best leather good you can find is a leather covered notebook or day planner. Always keep it next to a pen holder. I have a taste for black leather planners and steel ballpoint pens. Nice pens are class acts. Casually thrown in leather phone case also adds value. If you’re not single, put up a picture of you and your girl. It should be the best picture ever taken of you both. If you have kids, try to use a picture of the entire family together. Make sure that you are portrayed as a good father. The pictures you are most proud of should be kept in your cubicle. Don’t put up too many pictures – the idea is to give the visitor a glimpse into your personal life and to get yourself motivated during those bad days at work. A single picture can do both. If you can get a leather photo frame in black, it would look nice. Better not to pin your favorite picture onto the cubicle wall. Put it respectfully on your desk. Do not keep personal care items like brushes, combs, mouthwash, or hand sanitizer in public view. They don’t look good in a man’s cubicle. Keep them for better health and skin, but not in a public view. Keep office supplies well organized. I got a nice organizer at a garage sale. The ones available at Walmart or Target are good enough to keep your sticky pads, tape, pins, and stapler organized. When you’re not seating in, do not keep the water bottle opened with a cap on the table, do not leave your glasses. Log off and turn off the monitor. Keep your notebooks closed. More for the privacy of your sensitive data, also it speaks of your carefulness. The items that should be on a man’s desk at minimum are: a computer (if you need one), a notebook, a pen holder, office supplies within your reach, a picture in a photo frame, a coffee/tea cup, and a few well-organized books that fit the domain of your work. A desk calendar (not hanging ones) adds tremendous value to the overall look. A man (and woman) should keep books on display. I keep books on Java, software engineering, project management and leadership on my desk. Remember, hardcover books look better than weak paperback ones. Also, keeping a few well-known books by famous authors enhances your image as an intellectual person. My best in the list is “7 Habits of highly effective People” by Stephen Covey. Here’s a great list of essential books that can go into any man’s cubicle, irrespective f profession. In my personal opinion, a book titled “The Power of Positive Thinking” is much more appealing than a book with a title like “How to Control Stress.” Choose your books judiciously. An often ignored aspect of your office decoration is your computer’s screen saver and desktop background. Pictures of flowers look nice but try to avoid them in your man cubicle. The image should reflect your personality. Things to put away: computer bag, food, salt/pepper shakers, confidential files, unnecessary funny quotes, toothpicks, earbuds, and personal care items. Keep them in drawers. Once I saw a quote on a cubical wall that said, “If you don’t find me, I am gone fishing.” Now, this is ridiculous and sure to inspire his manager to go fishing when it comes to year-end performance review. It is one thing to be funny and another to piss everyone off. Keeping random items as stress busters helps a lot. Most men prefer sports items as stress busters; a baseball or football goes well with your personality as a physically active man. Who doesn’t know that a man and his connection with everything sports is legendary? No harm in showing off your sports affection but don’t make your desk a sporting hall of fame. Your garage can become one if you like. If you have printouts hanging in the cubicle wall with a pin, make sure they are not torn and wrinkled. If they are too old, hang new prints. It doesn’t take more than a minute. Also, make sure old and outdated prints are taken off. I do hang a print of our system hardware diagram. I do change it every 6 months. Do not keep too many of such hang ins. If possible you can laminate before hanging them. Keep the keyboard and monitor screen clean. Wet wipes are excellent tools to dust off these two things. You can turn the keyboard upside down to get rid of the particles. It’s amazing how many hairs and food items get into my keyboard, every time I turn it upside down. 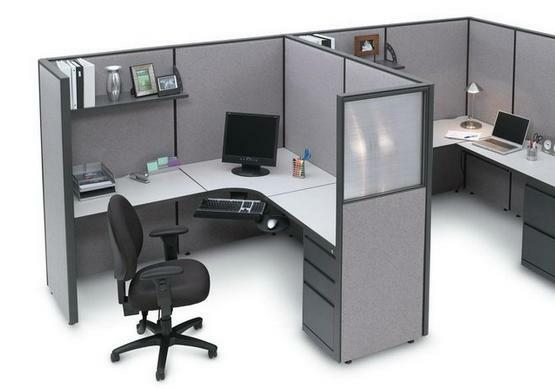 Some modern gadgets can give your cubicle a nice and sleek look while telling a story of your personal taste. I kept a block clock and a table lamp I purchased from Touch of Modern. When setting up office space at home. Select sleek and modern look. There are plenty of online shops to choose your furniture from. These stores have a good selection at discounted prices over other brick and mortar retail stores, like office depot, etc. You may keep a plant or two. Plants add aesthetics and they are good for the eyes. It adds liveliness to space. 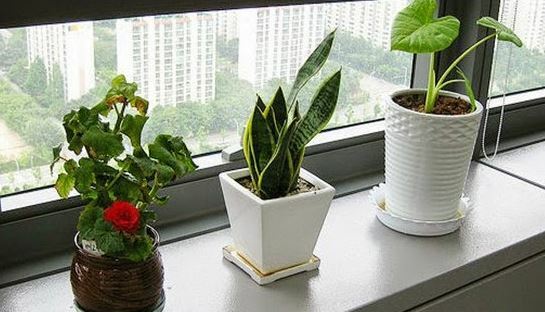 If watering your plants regularly is not your ball game, you can get plastic plants. But do remember to remove dust whenever they appear dusty. A neat and clean environment with all essential thing sunders an arm’s length is what you should aim for. I am sure your colleagues including your manager be all impressed with your well-decorated cubicle. There is another great list on Buzzfeed on things you should not do to your cubicle. But, to me, they are again not specifically for men. This will give an impression that you care about every detail at work. Make a statement about your personality and make your own stay comfortable within your cubicle. Readers, how your cubicles look? Does it talk about you as a person? How do you take good care of your cubicle? « Are Online Games Waste of Time and Money? I have to say, this is your second post in a short amount of time that I have found sexist in a way that shows poor taste. (The other was the shopping post.) Some finance bloggers are real jerks, but you always seemed like a gentleman before. I hope you aren’t trying to increase your hits and readership by emulating those jerks. “I am sure your boss, your colleagues, and the blond in the next aisle will all be impressed with your sheer presence at work” doesn’t sound like you. Is the focus of your blog on finance and getting ahead, or on attracting women? Is that how you see women in the workplace? Is the blond [sic] in the next aisle not your colleague too? Based on what I have read of your work, I don’t think that’s really how you see women. I suspect you have been looking at these other popular bloggers who have a big readership and you see the kind of jokes they make and their worldview. (It isn’t just that last comment that bothers me, but the painting of women’s cubicles with a broad brush and the statements about what is “manly”.) You don’t need to write like them to be successful. Frugal Dad, just as an example, doesn’t stoop to that kind of thing. Neither does Man vs. Debt. Both have many, many readers. W thanks a lot for eye opening comment. The last statement about blond is to add some humor to the serious discussion above. Unknowingly if I have made sexist remarks, I apologize for that. I am not a sexist in any way. I have written articles in the past which shows I am not..”16 ways to show your wife you care” is one of them I can remember right now. Yes blond is a colleague to but the whole intention is to induce humor. About women decorating their own way, is in fact a reality. There is nothing wrong or bad about that. This article is just for decorating a man cubicle. I am straightway taking down the blond piece out. Now that I look around, I have lots of papers on my desk. They are all organized though. I just need to file them away. Start now LaTisha! Although it was written mainly for men many things women also can take in..
My cube is a mess, but I just don’t care enough to do anything. If I have a nicer office, I would put more energy into it. This little cube is just a dump and putting a lipstick on the pig isn’t going to help much. I shove all the junk into drawers and try to leave only essentials on the table. Haha.. so you are a vibrant color man..Go as it fits your personality and choice. After all its you have to spend hours in it. Try your best. Can’t understand how only essential papers is making your cubicle messy. You fit in it properly, right Joe? I think it all depends on your workplace. I work in a very family oriented company so most people’s offices here are more “homely”. My litmus test is always to see what my boss’ boss is doing. My office decor is similar to his. I agree to you, very true. 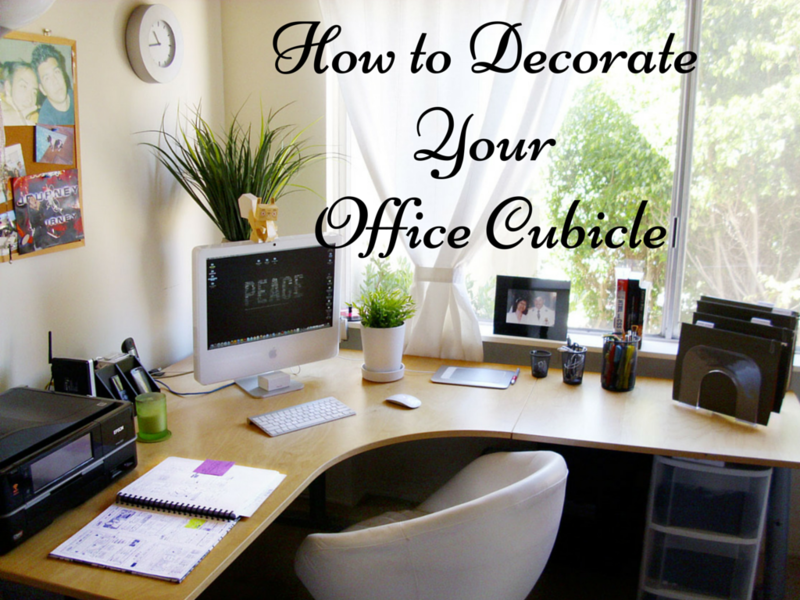 One of the coolest ideas I have heard about office decoration is what you are practicing. All right… my cubicle is a mess because we are swamped with projects and paperwork. I don’t have time to organize and file and make it all neat looking. I need to work! 🙂 One day (I keep telling myself) I will MAKE time and file all that paper away. One day… It’s been years now! Don’t worry you are not the only victim of this dilemma. We all do this all the time. The cubicle is like a summary of who you are. Just by looking at it, you’ll know what kind of a person owns it. I’ve seen really flashy ones, with all this crazy stuff. Definitely a girl fresh out of college. I have seen guys do it too. I love your insights into office politics! Love the hints! haha office politics..remember politics is a game of win or loss. You wither win it or loose it. It is so easier to forget that it is those simple things that matter the most. Trying to take on an enormous goal like saving 50% of ones’ income with the goal can seem overwhelming; but learning to improve that office space is much more more doable :). Interesting. I’ve never had a cubicle and never thought about this. I have a home office, but its decked out with brightly colored art from South America. Then again, its a HOME office. Its a home office, its not owned by your employer and no boss to impress, go as you like. I don’t think being organized is an especially manly thing to do and I don’t think it added much to your article frame it that way. With that said, your suggestions were quite helpful and practical. A real man doesnt let some douche’s expectations of what should and should not be in “a man’s cubicle” limit what’s actually in his cubicle. I agree, don’t go by my recommendation 🙂 thanks for your time and comment! so good luck to folks who already do and still feel its okay to leave their desks untidy. choice and fingers are all urs..
Way to rip off “HOW TO DECORATE A MANLY CUBICLE” by John Ofield on the ROSI Office Systems Inc. Website. He wrote his in August 2013 and here you are following exactly the step by step portion he laid out in your section on How to decorate an office cubicle. You should be ashamed. Oh my god! Thanks you pointed out this. this article was originally published in 2011. We are not the copy, he did the copy. and Google understands that and that’s why we rank higher than them in search ranking. My recent additions are not reflecting there as they copied it from here in 2013. I’ll take steps so that they give me due credit. Awesome tricks to decorate an office. Proper decoration really helps to increase productivity. Thanks for sharing your tricks. Office is a place where we spend most of our time and earn our livelihood. It should inspire us and help us in performing better. I agree with your point that nap and office layouts can improve cognitive function. I was never a big fan of decorating my workplace and thought its a waste of time and money. A colleague told me to give it a shot and the results were magical. I started owning my work more after that. Here are the other benefits.